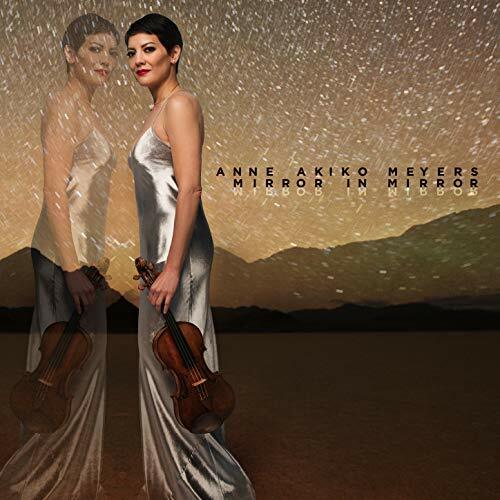 Avie Records has today announced the release of American violinist Anne Akiko Meyers’ new album: Mirror in Mirror. Recorded with pianists Akira Eguchi and Elizabeth Pridgen, electronic artist Jakub Ciupinski and conductor Kristjan Järvi and the Philharmonia Orchestra, the new disc features commissions and arrangements by Philip Glass, John Corigliano, Jakub Ciupiński, and Morten Lauridsen – alongside works by Arvo Pärt and Maurice Ravel. “I used modern technology to record the original version of Maurice Ravel’s Tzigane by sampling and reproducing the sound of a short-lived invention called the luthéal via computer and keyboard … this really made the original Hungarian gypsy sound come alive …” she has said.